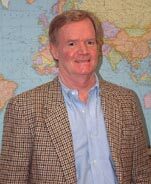 Mr. Sheehy is a Senior Managing Director for B.V. MURRAY & CO. Mr. Sheehy worked for Bear Stearns from 1972 to 1987 and acquired significant experience in mergers and acquisitions, high yield debt financing and cross border transactions. Mr. Sheehy has completed transactions in Australia, France, Hong Kong, Malaysia, New Zealand, Singapore, Sweden, United Kingdom and the United States. Prior to joining B.V. MURRAY & CO., Mr. Sheehy was a Managing Partner of Sphere Capital Partnes and was involved in the management of institutional investment funds for buyouts, various leveraged acquisitions and mezzanine financings. Mr. Sheehy holds a B.A. degree from the University of Pennsylvania, an M.A. degree from New York University, and an MBA from Columbia University Graduate School of Business. Mr. Sheehy also holds a series 7 and a series 24 securities license.